AFTER EASING past Scotland and decimating Wales, Ireland head to Twickenham this weekend with a Triple Crown sitting well within grasping distance. Thanks to a marauding pack and some savvy game management, Joe Schmidt’s meticulous ideas are being implemented clinically. England lie in wait and, having recovered from a sickening sucker-punch in Paris, and will be buoyed by a return to home turf. We are set for another intriguing battle, but where will the game be won and lost? News of Dan Cole’s tournament-ending neck problem on Sunday seemed to send a nation into panic mode. The durable Leicester Tigers tighthead has featured in all but two of Stuart Lancaster’s 23 Tests, only missing the South America tour due to his involvement with the British and Irish Lions. He is an exceptional scrummager too, and one of Graham Rowntree’s most revered lieutenants. However, England have a sound deputy in David Wilson. ‘Moose’, as he is affectionately known, may have looked short of match fitness in Bath’s win over Exeter Chiefs on Saturday, but he remains a fine technician and an underrated, rumbling carrier who has earned every one of his 31 caps. The softly spoken 28 year-old from South Shields destroyed Argentina’s front row back in June and was pushing Cole very hard in the autumn before a calf injury derailed his designs on the No 3 role. He has swatted up on lineout calls and systems this week and will be ready to last as his legs will allow him. Where the hosts have been forced into contingency, Ireland occupy that side of the scrum with a familiar face. Cian ‘The Church’ Healy’s all-action contributions in the loose will perhaps one day write him into Irish folklore, but more impressive this season have been his improved angles at set-piece. The mighty Adam Jones was seen off – so Wilson should hold no fear. It is no exaggeration to say that Peter O’Mahony has been the most influential figure in the Six Nations so far. An expert in awkwardness, the number six is making a habit of snuffing out opposition forays with a fine line in limpet impressions at the tackle area. 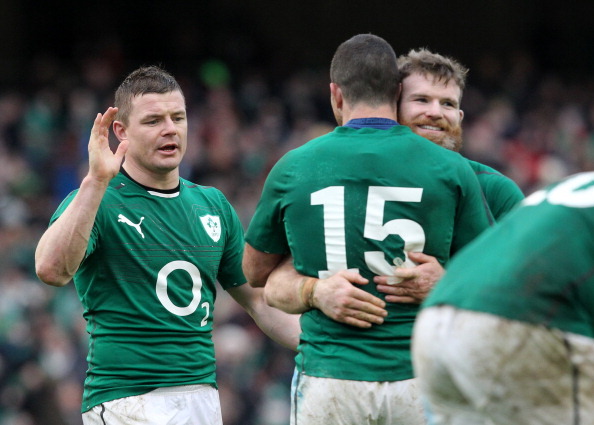 You only need to look at the barrage of bear-hugs he receives on executing a turnover to see how important his actions are for Ireland’s emotional energy – make no doubt, O’Mahony now is a key talisman. Referee Craig Joubert holds very particular breakdown preferences so the young Munsterman may need to ensure he allows post-tackle daylight before swooping. Even if he does, England have a saboteur supreme in Tom Wood, the gnarled Northampton Saint who assumes the role of Chris Robshaw’s enforcer. 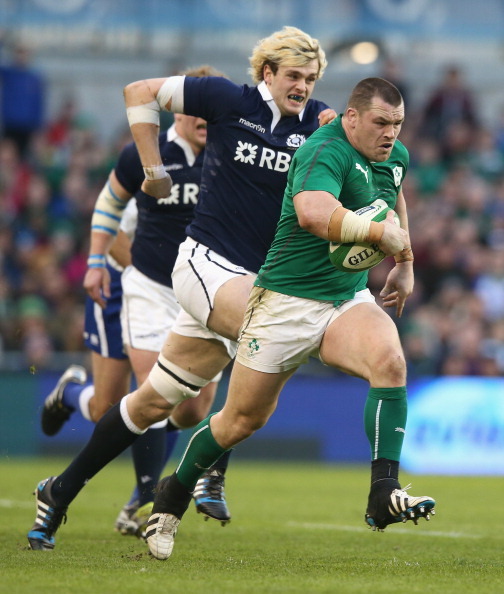 Staggeringly industrious, he defied the sticky surface to hit a total of 36 rucks at Murrayfield – one every 133 seconds, so expect Wood and O’Mahony to hunt together all afternoon. 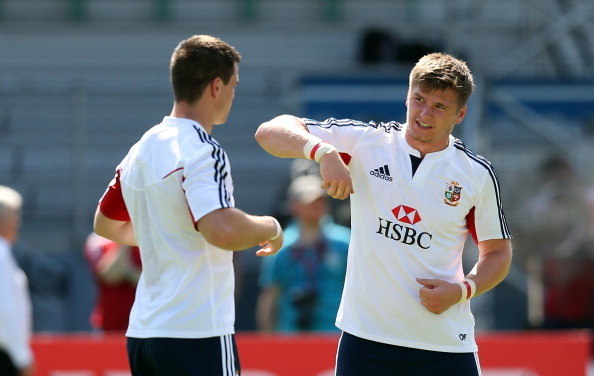 When Owen Farrell and Johnny Sexton arrived at Syon House Hotel last May to receive their Lions kit-bags, they were immediately whisked into a conference room by Warren Gatland and handed a file of plays to absorb. From that beginning, they became good mates over eight weeks in Australia – rooming together and sharing the 10 shirt. All amiability will be cast aside for 80 minutes on Saturday, though. With Jack Nowell and Jonny May still extremely green as international wingers, Sexton will be probing the touchlines and hoisting high balls in abundance. While they have had little to work with from hand, Rob Kearney, Andrew Trimble and David Kearney are unfussy grafters whose phenomenal kick-chase suffocated Wales. Farrell must hit runners and prove his excellence in Paris was no fluke. As one majestic dummy and 50m break against Scotland showed, Sexton only needs one millisecond of relaxation to lacerate a defence. Andy Farrell’s mantra as England defence guru is “destroy and enjoy” – built on manic line-speed and a thirst for collisions. In the past, that has left space out wide and in behind. On this form, the Irish playmaker will locate any holes and put people through them. When Rory Best steadies his gaze and prepares to throw in, England will know exactly what is coming at them. The more pertinent question is whether or not they can stop it. Sparked by the safe hands of Paul O’Connell and Devin Toner, Ireland’s driving maul splintered both Scotland and Wales. Each of Schmidt’s pack knows their role backwards, meaning the men in green have a well-oiled weapon with which to attack Twickenham. That said, Rowntree is a shrewd operator and has had his eight studying footage and honing defensive tactics – namely sacking the jumper, shunting the maul into touch or simply holding firm. Courtney Lawes is a far more intelligent caller than people give him credit for, and will relish disrupting O’Connell in the air. A fortnight ago in Edinburgh, Dylan Hartley was inch-perfect from 20 throws. England’s platform is pretty sturdy too. Nowhere illustrates the disparity in experience between these two outfits more than the midfield. Gordon D’Arcy and Brian O’Driscoll’s combined tally of 215 Test caps eclipse the 12 shared between Billy Twelvetrees and Luther Burrell to an almost laughable degree. But don’t let that fool you – this enticing match-up will not be a lop-sided one out on the field. 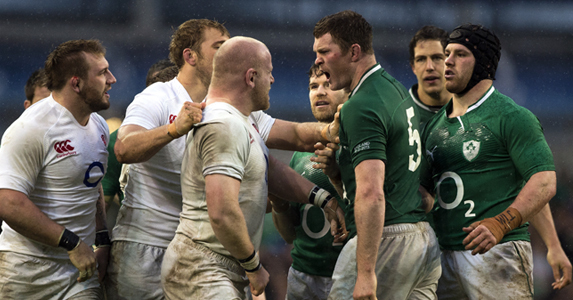 While Ireland’s centres function with telepathic understanding, England’s duo bristles with power and athleticism. Having faced Leinster twice this season in the Heineken Cup, Burrell has been privy to a rapid education as well. Saints’ 40-7 mauling at Franklin’s Gardens was fraught with tentativeness – O’Driscoll weaved his magic without being harried. A week later, Northampton puffed out their chests and found another gear. Laying on a five-pointer for George North with a lovely offload, Burrell was at the forefront of that effort. He meets the finest centre of the professional era again on the back of consecutive try-scoring games. Self-belief shouldn’t be an issue.